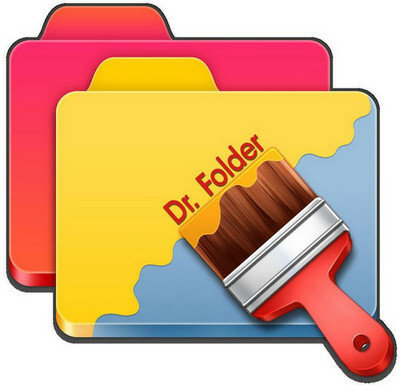 • Dr. Folder has two additional options for folder icon changes: "Make customized folder distributable" (portable) and "Apply selected icon to all subfolders"
• Dr. Folder can mark folders by priority (high, normal, low), by degree of work complete (done, half-done, planned), by work status (approved, rejected, pending) and by the type of the information contained in a folder (work files, important files, temp files, private files). • Dr. Folder changes folder icons from within a popup menu of the folders. To change a folder icon, you don't even need to run the program! • Dr. Folder's popup menu contains convenient category submenus. • Dr. Folder contains a User Icons tab where you can add an unlimited quantity of your favorite icons and mark folders with them. It's easy! Мы очень надеемся, что наша новость Dr. Folder 2.6.8.0 Вам понравилась и в благодарность за это, Вы напишите толковый комментарий.